The Great Cake Event of 2010! Celebrating Five Years of Imagination Library Sponsorship in Lincoln, Lyon, Murray, Yellow Medicine and western Redwood Counties of Minnesota. The Great Cake Event was held on recently at the Marshall Area YMCA. The United Way of Southwest Minnesota sponsored this event to celebrate five years of sponsorship of the Imagination Library for children who live in their service area. The event included over 30 cakes in the cake contest; kids' activities; chance to vote for your favorite Imagination Library book; chance to vote for your favorite cake; educational sessions on cake decorating; silent auction of cakes and more! Dolly Parton Imagination Library moves to ECU! The Dolly Parton Imagination Library is changing hosts in Oklahoma. Previously managed through Ada Regional United Way, the early childhood literacy program is now based at Smart Start South Central, an early childhood initiative housed in East Central University’s Center for Continuing Education and Community Services. “The Dolly Parton Imagination Library program itself is exactly what it always has been: a program that provides one free book a month to any child under the age of 5 who lives in Pontotoc County. The only change is that Smart Start South Central has taken over the administrative tasks of the program,” said Trish Little, community coordinator. New brochures will be available soon for parents who would like to sign up their child for the program. For more information about this or any other programs that Smart Start South Central sponsors, phone Little at 580-559-5367, or email plittle@ecok.edu. Dolly Parton Imagination Library is a collaborative effort between Smart Start South Central and the Chickasaw Nation. Area cake decorators are invited to take part in the first ever Great Cake Event which will be from 1-4 p.m. at the Marshall Area YMCA, 200 S. A St., Marshall. The Great Cake Event is a celebration of five years of United Way of Southwest Minnesota sponsorship of the Dolly Parton Imagination Library program for young children in this area. In 2005, United Way of Southwest Minnesota began local sponsorship of Imagination Library to build school readiness and literacy skills in all preschoolers who live in its service area. More than 5,000 children have taken part in the program during this time. Today 2,386 children are enrolled and receive a free, quality book in the mail each month at no cost to their families. The Great Cake Event will highlight beautiful and creative cakes and will feature a cake decorating competition. 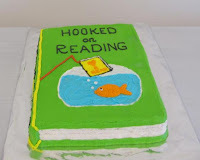 Cake decorators are encouraged to emphasize literacy or reading as a theme for their cake. 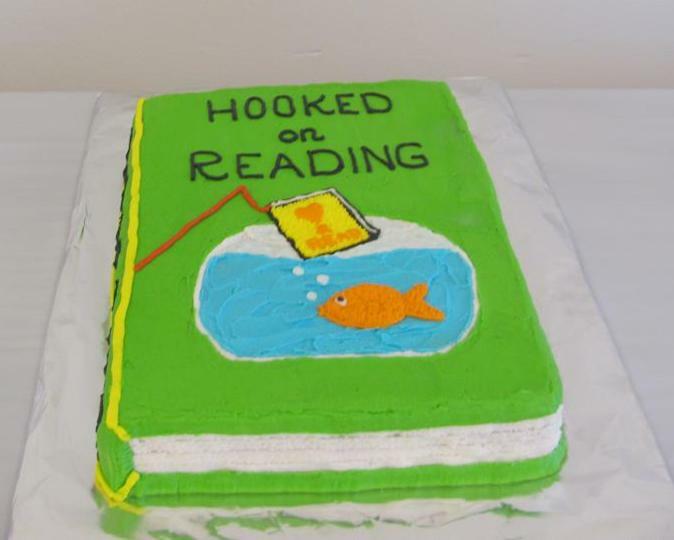 There is no fee for entering a cake in the contest; however, cakes will be sold via a silent auction to help raise money for continued sponsorship of the Imagination Library program. There are four categories for judging: 1) Individual; 2) Youth under age 12; 3) Youth ages 12 – 18; 4) Group/Business. More information about the event, the competition and the registration form is available on the United Way of Southwest Minnesota webpage: www.unitedwayswmn.org. In addition to the showcase of cakes and a silent auction of cakes, there will be children’s activities related to Imagination Library and educational sessions about the basics of cake decorating. For more information, call United Way of Southwest Minnesota, 507-929-2273. About 300 people opened their purses to support children's literacy at the fifth annual Power of the Purse event held Thursday at the Holiday Inn City Center. Tables lined with themed handbag collections surrounded the perimeter of the room in a silent auction and luncheon event to benefit Dolly Parton's Imagination Library. Each bag was filled with other goods that matched the theme. For example: A woven straw bag titled "Beach Bound" also contained a towel, sunscreen and other items for a day at the beach. A few items on the auction block were standalone — not associated with a purse or bag — but the bulk of the 43 purchased or donated items were "purse-centric." This year they plan to raise $1.5 million for six organizations: Leeza Gibbons Memory Foundation, Children’s Miracle Network, Andrew Gomez Dream Foundation, Food 4 Africa, and newcomers Morris Animal Foundation, represented by Betty White, and Dolly Parton’s Imagination Library. senior vice president of Bank of Old Monroe. On Thursday, October 7, partners of the Imagination Library celebrated that 1,000 children had been signed up for its free book program at the Troy Early Childhood Education Center. “With a little more than 2,000 eligible children in the Lincoln County R-III school district, signing up 1,000 in just one year is a huge accomplishment,” said Wray Clay, vice president, United Way. As of October 7, more than 1,030 children age birth – 5 are participating in Dolly Parton’s Imagination Library book program in Lincoln County's R-III school district. Israel Launches Major Literacy Drive for Preschoolers! The program has existed in Israel on a small scale, but the government’s boost will help the give free books each month to some 40,000 underserved children. Sifriyat Pijama, as it is known in Hebrew, will distribute books through Israel's schools. Sifriyat Pijama is different in that the books are being distributed through the schools and will go to children whose families have reduced or restricted financial means. The program in Israel combines the goals of The PJ Library and Dolly Parton's Imagination Library. Dolly Parton's Imagination Library in Lincoln County presents a 5K trail run and 1 mile walk starting at 8:00am on Saturday morning, October 23rd, 2010. The event will take place at Don Davidson Park in Fayetteville, Tennessee for different age groups. Organized by Trails for Kids, a group that built 3 miles of mountain biking and hiking trails in 2009, this is an exciting fundraising event for all families in the area. Registration closes October 9th, and the first 150 pre-registered entrants are guaranteed a t-shirt. Awards will be presented to the top three runners by gender and age groups. Fun run/walk participants will all receive a finisher’s ribbon. For more information, contact Helen Fussell at 931-580-3081. Area women can indulge in their love of the handbag while helping raise money to provide books for preschoolers during the fifth annual Power of the Purse luncheon and auction next month. Slated from 11:30 a.m. to 1:30 p.m. Oct. 14 at the Holiday Inn City Center, 700 Rogers Ave., the event brings women from all over the area to chat, enjoy lunch and bid on an assortment of purses, according to Angie Ruth, director of finance and administration for the United Way of Fort Smith Area. More than 40 purses will be offered at a silent auction. Proceeds benefit the UW's early literacy initiative, Dolly Parton's Imagination Library, which provides books for more than 1,660 children in the area, Ruth explained. Children from birth to 5 years old in Crawford, Franklin, Logan and Sebastian counties are mailed a hard-bound, age-appropriate book each month through the initiative. It costs an average of $30 per child to provide 12 books to them for a year, Ruth added.